Your ultimate caneberry guide for growing and caring for raspberries and blackberries, my favorite varieties, plus LOTS of fresh berry recipes and ways to preserve them for winter. This Ultimate Caneberry Guide is a part of this week’s Tuesdays In The Garden, with a theme of DIY & How-Tos. At the end of this guide, you’ll find links for how to grow roses, strawberries, and more. Enjoy! Of all the fruits you can grow easily in your backyard garden, my favorites are caneberries. Caneberries are simply a word used to describe berries that grow on long canes that need to be trellised (mostly) and include blackberries, raspberries, and crosses like Loganberries and Western Oregon’s beloved Marionberry. Not only are blackberries and raspberries so delicious you almost can’t believe it (yep, uber-fan here, but sun-ripend berries? To.die.for. ), a couple of $4 plants (or free starts if you’re lucky) can provide you with summer-long fruit, saving you heaps compared with the small $4-5 packages in the stores. As if that weren’t enough (it is, I promise) all caneberries are full of antioxidants, vitamins (especially C), and are a good sources of fiber. Can I start a caneberry fan club or something? How about I just urge you to grow some? 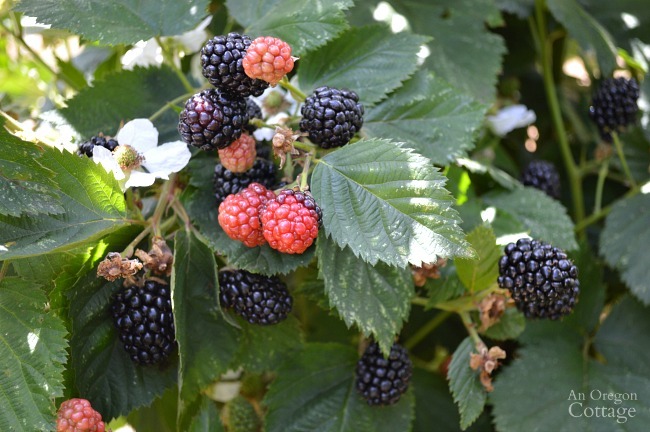 You won’t be sorry, and luckily there are varieties that grow in zones from 5-10 so almost everywhere in the states can grow a caneberry or two (or ten….). 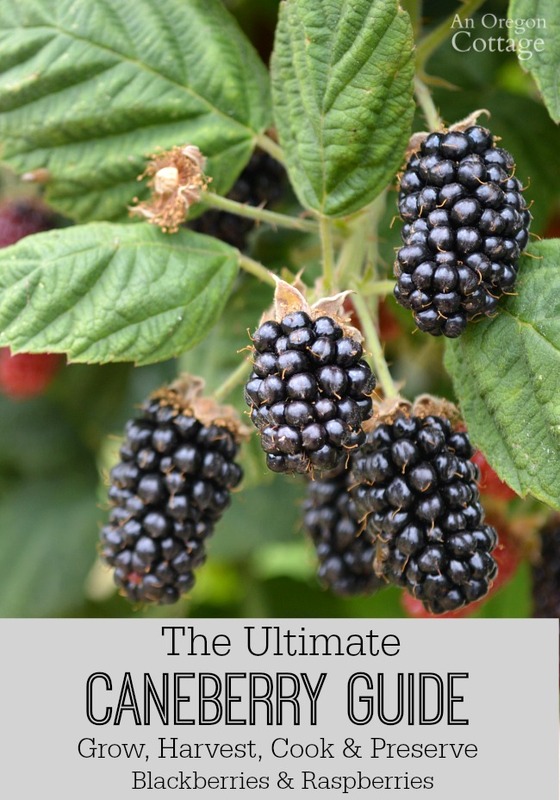 With the basic care and pruning like you’ll find in this ultimate caneberry guide, they will produce almost indefinitely for you. (How many #wins is that – I’ve lost count!). All caneberries bear fruit on two-year-old wood, except the ‘everbearing’ (which isn’t really fruiting all the time, but refers to two crops a season) and erect varieties which also fruit on first year growth. They are self-fruiting and are pollinated by bees. Raspberries grow best in relatively cool, marine climates – in valley climates it’s best to give them some afternoon shade. Note! Raspberries have invasive roots and will spread unless contained by borders or pulled in the spring. 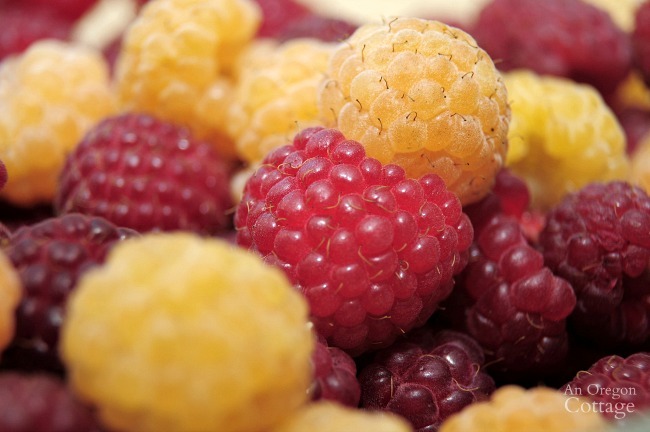 Summer-bearing red raspberries produce a large crop June through July. Fall-bearing (also called Everbearing) red varieties that produce a small crop in spring and a larger crop in the fall (they’ve produced in my garden until the frost killed them – it’s wonderful to get fresh raspberries in late October!). Canby: a summer-bearing, large, good flavored, firm, and juicy berry developed at Oregon State University that bears a lot in a 1-2 month period. Heritage: probably the top fall/everbearing raspberry in the US. It produces a small June crop with a heavier crop in fall. The canes that do not need staking, maturing at 3-8 feet tall and 4-8 feet wide. Queen Ann: a sweet golden raspberry that has an incredible flavor and grows on everbearing type canes. Fall Gold: another golden raspberry with an amazing flavor that produces in July and then late August through frost on canes that are productive and adaptable to various soils. There are also black raspberries (yes, they’re different than blackberries), which are a little more wild growing on long canes that spread, and purple raspberries – a cross of red and black raspberries – that produce on upright canes that do not spread by root runners. I haven’t grown either of these, but apparently the purple ‘Royalty’ is the best variety and after researching I really want to try it! Triple Crown: these are my hands-down favorite blackberries to grow. They are a thornless, erect variety that can produce up to 20 pounds of intensely flavored gigantic berries for months! 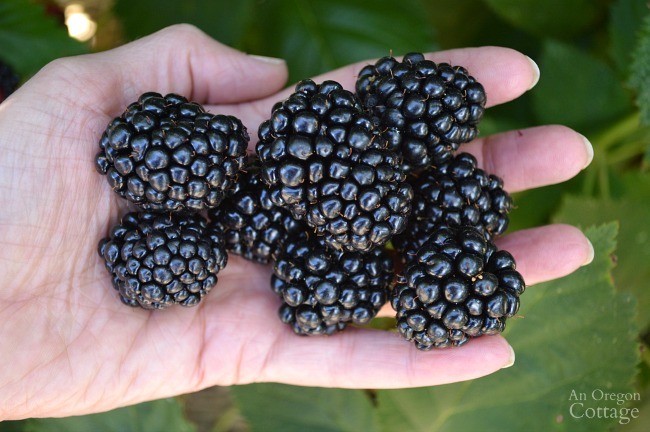 Read my 5 Reasons To Grow Triple Crown Thornless Blackberries for more info. Black Satin is another thornless, erect variety to try – I love the easy of picking this type of berry! Marionberry: this trailing, thorny berry is the queen of the Northwest with a unique flavor and large berry. The canes can get up to 30 feet long, and root and sucker, so they do need a lot of pruning and training. Boysenberry: a trailing thornless berry that is another classic Westcoast caneberry. A result of crossing blackberries and raspberries. They are sweet-tart and can be grown in zones 6-9. I did have problems with a fungal growth on the canes, which weren’t on any other berries planted nearby, except the wild berries along the fence line. You can plant dormant, bare-root berries four to six weeks before your last frost, and container-grown plants as early in the spring as your garden allows. Plant bushes 6 feet apart in rows that are at least 8 feet apart. Amend the soil with compost and cover with 2-4 inches of mulch. Water the plants after you put them into the ground to settle them into the soil. All caneberries will benefit from a simple trellis. For long summer-bearing canes, I just string 2 wires between two end posts of 4-by-4s made from cedar or other rot-resistant wood. With “erect” canes (that can get long and fall over when heavy with fruit) make a box of 2-3 wires strung at 3 and 5 feet to help keep the fruit off the ground. This berry tee-pee I saw is also a clever option. 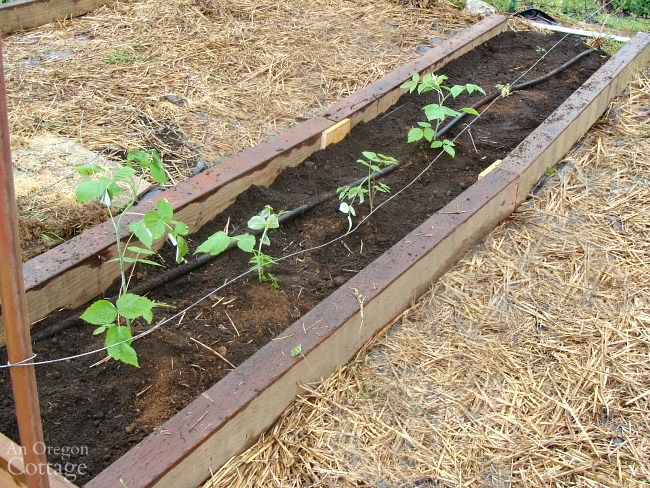 Keep all berry beds weed free – I use paper and a strong mulch like straw or wood chips. 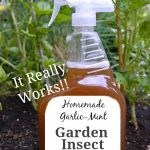 Give them 1 inch of water a week, deeply at the roots with a soaker hose or drip system. Keep consistently watered, at least 1 to 2 inches per week. Fertilize in early spring for, top-dressing canes with composted manure or organic granular fertilizer for the best growth. Yes, you can grow caneberries in containers! Select a sunny spot with at least 6 hours of sun each day, use a large pot (at least 18×18 inches deep and wide) and be sure there is good drainage. In areas that experience cold winters, place the canes on the ground and cover with a heavy layer of mulch to protect from the cold. In spring after the danger of a freeze has passed, lift the canes and reattach them to your trellis. After a couple years (it usually takes 2 years to produce fruit) you should get a great harvest, with more in the following years. You may have to protect the berries from birds – try these scare tactics that worked well for me or bird netting. Caneberries are ready to pick when they are fully colored, plump, and fall easily from the branch. They should be picked every 2 to 4 days. Collect them in the early morning, they’ll store longer. Berries will keep in the refrigerator for about 1 week. You can prune the tip sections of both types in spring (and even summer as needed), reducing the height of the canes to four or five feet. This will encourage bigger berries, allows for easier picking, and keeps the canes in check. Summer-bearing canes: once you have harvested the summer-bearing raspberries and blackberries, remove the only the spent canes during at ground level (first-year stems have green canes and second-year stems have a thin brown bark). They will not fruit again and it helps prevent disease provides for new growth. Fall/Everbearing, erect canes: simply cut the entire patch to the ground after they’ve died back completely or in early spring before you see any buds. Here’s a thorough article on pruning raspberries and blackberries for more specifics, and here’s one on pruning my favorite thornless blackberries. 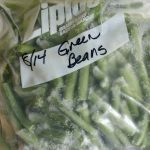 Click the arrow for caneberry EATING & PRESERVING RECIPES + more garden how-tos! Omigoodness Jami, I’m so excited. Came online tonight to brush up on triple crowns – the latest addition to our small backyard berry patch. I’ve been a subscriber for how long but don’t ever remember salivating over this post. Hubby and I sampled our first triple crown last summer at.the local farmers market, came home and ordered 3 bushes which are now happily thriving directly to the right of our wicked marionberry. Expecting great things from both! We also raise red and golden raspberries; and blueberries. Infeel so blessed. Just yum!! Thanks for such an informative read! Glad you find this helpful, Angie – have fun with those berries!! I really enjoy reading your blog! A quick question though… is the pruning section of this post correct? It seems to be the opposite of all the other advice I’ve read. Shouldn’t the summer bearing canes all be mowed down after harvest but the everbearing you only cut the 2nd year canes after they’ve had fruit and leave the other canes? Or am I confused? Hope that helps to clear it up for you! Growing up in PA we often find wild black-raspberries which are so delicious. Now that we’ve cleared some space I’m thinking of adding a couple of berry bushes (canes) to the garden. Thank you for this wonderful resources on varieties and other growing information, including some great recipes. It will be a great help. Yes, we in the PNW have a ton of wild berries – it’s a love-hate: we love picking them for a few months, but hate how they can take over a yard. 🙂 Once you try some varieties grown for flavor, you will be a convert, I think! We plan to replace our oh-so-pokey marion berries next season so this is timely. Any suggestions on where to buy the Triple Crown berries you mentioned? (We’re the Willamette valley area also.) Thanks! You can try local nurseries (I’d call around). I bought ours online from Burpees a few years ago. I did update the 5 Reasons to Grow Triple Crown blackberries with the links to other online sources, too, if you’re interested. I’m so glad you included that berries can be grown in containers. We grew our raspberries in containers for years. This is a great guide. Thanks for sharing so many recipes to use the berries in too. I find it easier to grow things in the ground, but if you don’t have room (or sun in the right places! ), containers are a great solution. Oh my goodness! We have Blackberries growing wild here. I mean hundreds of acres of them just in our area. The birds love them and spread the seeds freely everywhere. My husband mows our fields every year to keep them back. Raspberries have not liked our area so well. Dave did make them a raised bed and they are thriving in it. But they are much easier to control here. It’s amazing how a slightly different climate can make such a difference. We have not tried Marionberries or the other delicious berries you have mentioned. We might though in the future. Caneberries are so healthy and so good! Thanks for all the great tips. We freeze our caneberries and enjoy them all year. Love them!